Give my regards to Skid Row, Remember me to Mark White Square . . .
Those are the opening lines of a song that went around town when I was a kid, a parody with Chicago landmarks of Cohan’s “Give My Regards to Broadway.” Skid Row was the flophouse section of Madison Street. Mark White Square was a pocket-park located at Halsted and 29th streets. Today Skid Row has been gentrified. Mark White Square has changed, too. Now it’s called McGuane Park. The Chicago Park District renamed this 10-acre facility in 1960 to honor the recently-deceased John F. McGuane. McGuane was a World War I veteran who had been active in various civic organizations and had served on the park board. He’d lived across the street from the park all his life. What about Mark White? Who was he? Mark White was born in 1837 at Salisbury, Vermont. He came to Chicago in 1871 and found work as foremen of a construction crew in the South Side parks. He eventually became general superintendent of the entire South Park system. In 1891 White was living in a house near Washington Park. On the morning of March 4 he woke up feeling sick, and decided to stay home to rest. As the day went on he grew worse. The doctor was called, but before he arrived White had died. He was 54 years old. Some years later, the South Park District began acquiring and clearing land to build a number of small parks. 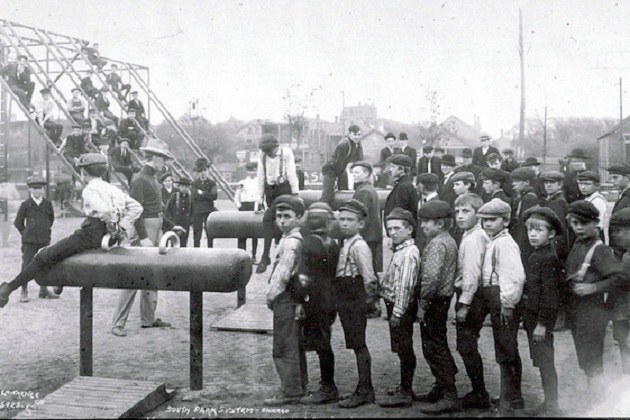 In 1904 the park at Halsted and 29th was dedicated to its late superintendent. 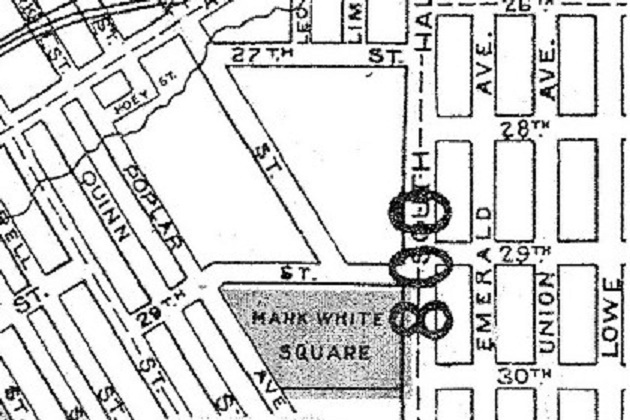 Mark White Square remained in place until the name was abruptly dropped in 1960. It’s not my place to compare the respective merits of Mark White and John McGuane. Nor do I think the name of the park should be changed back. By now it&apos;s been McGuane Park nearly as long as it was Mark White Square. But if Mr. McGuane had died in more recent times, he would probably be given an honorary street, and the name of the park would stay the same. So in fairness, shouldn’t the city put up a few of those brown signs in memory of Mark White?